Monogrammed and personalized items cannot be returned except when due to our error or defect. Once placed, your order for these items cannot be canceled. Non-Monogrammed orders can be canceled within 24 hours of being placed. After 24 hours a store credit of the equal amount will be given. If a non-valid charge back is issued a $30 charge back fee along with the original price of the merchandise will be charged to you. Dye lot variations are natural occurrences in fabrics. Light exposure will also have an affect on the color you see on your screen versus the color of the merchandise. We can not be held responsible for manufactures variations in the products we sell. If you choose to return your non-monogrammed items you have 24 hours of receipt to contact us to request a RA#. A RETURN AUTHORIZATION NUMBER (RA#) must be obtained from our customer service staff and is required for all returns. Merchandise must be returned within 5 days of the issuance of the RA# at which time the RA# expires. Return shipping charges are the sole responsibility of the customer. The Monogram Studio reserves the right to return to the customer any merchandise without a valid RA# or with visible usage. ONCE YOUR MERCHANDISE HAS BEEN RECEIVED WE WILL ISSUE A STORE CREDIT EQUAL TO YOUR INITIAL PURCHASE LESS ANY APPLICABLE SHIPPING CHARGES. We will notify you via e-mail of your credit once we’ve received and processed the returned item. If your return is not due to our error, we will deduct the shipping and handling costs from your refund. 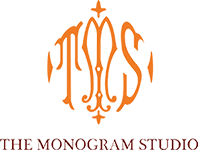 To obtain a valid RA# or for any other questions, please contact orders@themonogramstudio.com and we will be happy to assist you.